The Double King Suite includes two separate rooms with king-sized beds, two day beds and a private restroom with a shower or bath tub. 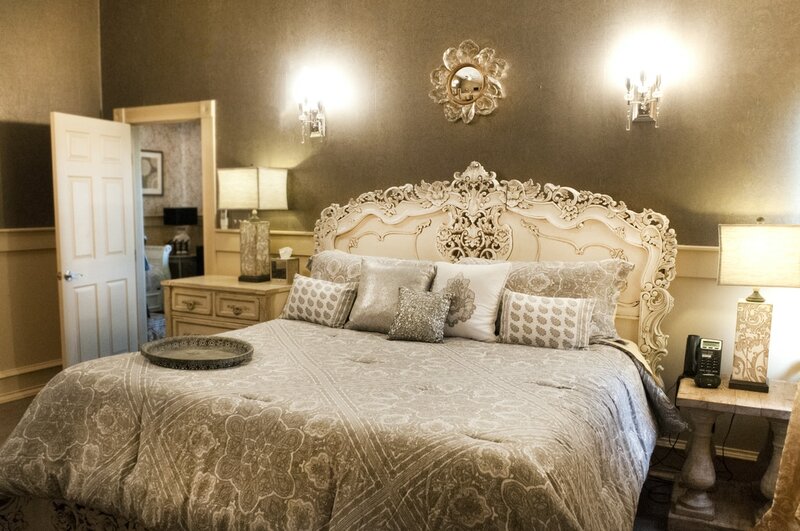 King rooms can accommodate up to eight guests. Rooms are upstairs with a balcony that overlooks the pond and grounds. Rooms are equipped with safes, hair dryers and telephones and decorated with hand-crafted furniture, locally sourced textiles and unique country details. Each room is uniquely decorated, but all have a lush, comforting feel.